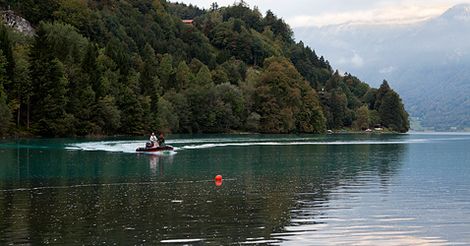 Almost two-thirds of the native fish species of Switzerland are threatened by extinction. To preserve or specifically enhance aquatic biodiversity and habitats, a representative assessment of the existing species in lakes is necessary. Eawag and its partners, the Federal Office for the Environment (FOEN), cantonal fisheries authorities and the Office National des eaux et des milieux aquatiques (ONEMA), Fédération de pêche Doubs et du Jura in France, perform through Projet Lac for the first time a standardized assessment of the fish fauna of Alpine lakes with a special focus on deep and large lakes. A report is currently being written to synthesise the most important results of Projet Lac. Vertical and horizontal multi-mesh nets (= nets with different normalized mesh sizes) are set in accordance with the EU Water Framework Directive in all depths. Thus, the results from the "Projet Lac" are comparable to those of EU member countries. 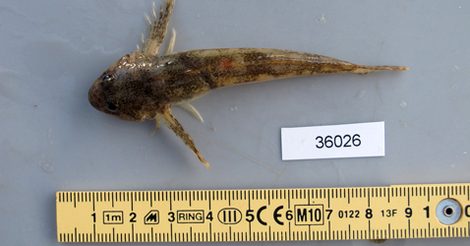 All fish caught are measured, weighed and photographed for morphological measurements. In addition, special features are described and tissue samples are taken for genetic and ecological analyses. All data are stored in a database, which is coordinated with the Swiss Centre for Cartography of Fauna. Upon completion of the "Projet Lac", all data will be freely accessible. 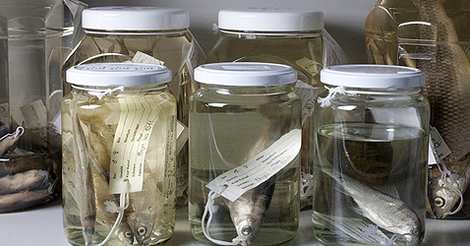 At least 30 individuals per species per lake are prepared for long-term storage at the Natural History Museum of Bern. These specimens will thereby be available for future research projects. Hydroacoustic surveys are performed both during day and night. These investigations are performed in regular transects. This makes it possible to estimate the fish biomass without catching fish. One goal of Projet Lac is to publish the results in the form of publications in scientific journals, and in reports to cantonal authorities. In addition, the main findings will be presented to the public. Does eutrophication-driven evolution change aquatic ecosystems? Eutrophication increases primary production and changes the relative abundance, taxonomic composition and spatial distribution of primary producers within an aquatic ecosystem. The changes in composition and location of resources alter the distribution and flow of energy and biomass throughout the foodweb. Changes in productivity also alter the physico-chemical environment, which has further effects on the biota. Such ecological changes influence the direction and strength of natural and sexual selection experienced by populations. Besides altering selection, they can also erode the habitat gradients and/or behavioural mechanisms that maintain ecological separation and reproductive isolation among species. Consequently, eutrophication of lakes commonly results in reduced ecological specialization as well as genetic and phenotypic homogenization among lakes and among niches within lakes. We argue that the associated loss in functional diversity and niche differentiation may lead to decreased carrying capacity and lower resource-use efficiency by consumers. We show that in central European whitefish species radiations, the functional diversity affected by eutrophication-induced speciation reversal correlates with community-wide trophic transfer efficiency (fisheries yield per unit phosphorus). We take this as an example of how evolutionary dynamics driven by anthropogenic environmental change can have lasting effects on biodiversity and ecosystem functioning. 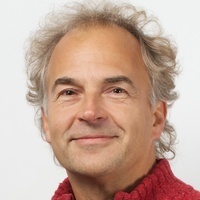 This article is part of the themed issue ‘Human influences on evolution, and the ecological and societal consequences’. 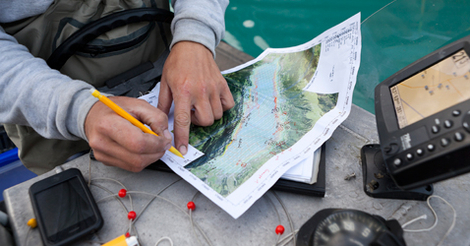 The European standard for gillnet sampling to characterize lake fish communities stratifies sampling effort (i.e., number of nets) within depth strata. Nets to sample benthic habitats are randomly distributed throughout the lake within each depth strata. Pelagic nets are also stratified by depth, but are set only at the deepest point of the lake. Multiple authors have suggested that this design under-represents pelagic habitats, resulting in estimates of whole-lake CPUE and community composition which are disproportionately influenced by ecological conditions of littoral and benthic habitats. To address this issue, researchers have proposed estimating whole-lake CPUE by weighting the catch rate in each depth-compartment by the proportion of the volume of the lake contributed by the compartment. Our study aimed to assess the effectiveness of volume-weighting by applying it to fish communities sampled according to the European standard (CEN), and by a second whole-lake gillnetting protocol (VERT), which prescribes additional fishing effort in pelagic habitats. We assume that convergence between the protocols indicates that volume-weighting provides a more accurate estimate of whole-lake catch rate and community composition. Our results indicate that volume-weighting improves agreement between the protocols for whole-lake total CPUE, estimated proportion of perch and roach and the overall fish community composition. Discrepancies between the protocols remaining after volume-weighting may be because sampling under the CEN protocol overlooks horizontal variation in pelagic fish communities. Analyses based on multiple pelagic-set VERT nets identified gradients in the density and biomass of pelagic fish communities in almost half the lakes that corresponded with the depth of water at net-setting location and distance along the length of a lake. Additional CEN pelagic sampling effort allocated across water depths and distributed throughout the lake would therefore help to reconcile differences between the sampling protocols and, in combination with volume-weighting, converge on a more accurate estimate of whole-lake fish communities. Ecological research and monitoring of lacustrine ecosystems often requires a whole-lake assessment of fish communities. Gillnet sampling offers an efficient means of estimating abundance, biomass and fish community composition. However the choice of gillnet sampling protocol may influence lake characterization via physical properties of the nets and allocation of sampling effort between littoral, benthic and pelagic habitats. This paper compares two commonly used, whole-lake sampling protocols applied across 17 prealpine, subalpine and alpine European lakes ranging widely in size, depth and altitude to determine their relative strength for research and management applications. Effort-corrected estimates of abundance, biomass and species richness were correlated between the protocols and both distinguished the trout-dominated alpine communities from subalpine and prealpine lakes dominated by whitefish and perch. A considerable amount of variance remained unexplained between the two protocols however, which seemed to correspond with differences in the proportion of effort among benthic and pelagic habitats. We suggest that both the European standard (CEN) and vertical (VERT) netting protocols are suitable for assessing ecological status and monitoring changes in lake fish communities through time. However the details of each protocol should be kept in mind when comparing fish communities between lakes. Mesh sizes used in CEN nets produce a more even size frequency distribution, suggesting that this protocol is most appropriate for assessing size structure of fish assemblages. The high proportion of netting effort in benthic habitats shallower than 70 m depth under the CEN protocol means that, particularly in larger lakes, outcomes will be disproportionately influenced by the ecological condition of this habitat. The VERT protocol presumably provides a more accurate estimate of whole-lake CPUE and community composition because effort, in terms of net area, is more evenly distributed across the entire volume of the lake. This is particularly important in large and deep lakes where pelagic habitats occupy a high proportion of the lake volume. Alexander T.J., Vonlanthen P., Périat G., Seehausen O. (2017). Artenvielfalt und Zusammensetzung der Fischgemeinschaft im Vierwaldstättersee, Schlussbericht, 62 S.
Alexander T.J. , Vonlanthen P, Seehausen O., Périat, G, Raymond,J.C, Degiorgi,F (2016). Artenvielfalt und Zusammensetzung der Fischpopulation im Bodensee. Schlussbericht, 68 S.
Vonlanthen P., Périat G., Doenz C., Hellmann J., Alexander T.J. , Seehausen O. (2015). Artenvielfalt und Zusammensetzung der Fischpopulation im Thunersee. Schlussbericht, 41 S. Vonlanthen,P. ; Périat,G. ; Seehausen,O. ; Alexander,T. ; Guillard,J. ; Colon,M. (2015) Artenvielfalt und Zusammensetzung der Fischpopulation im Zugersee. Schlussbericht, 43 S. Vonlanthen,P. ; Périat,G. ; Seehausen,O. ; Alexander,T. ; Guillard,J. ; Colon,M. (2014) Untersuchung der Fischpopulation im Lago di Poschiavo und im Silsersee. Schlussbericht, 51 S. Vonlanthen,P. ; Périat,G. ; Seehausen,O. ; Alexander,T. ; Guillard,J. ; Colon,M. (2014) Artenvielfalt und Zusammensetzung der Fischpopulation im Hallwilersee. Schlussbericht., 37 S. Vonlanthen,P. ; Périat,G. ; [in Zusammenarbeit mit:; Seehausen,O. ; Alexander,T. ; Dönz,C. ; Rieder,J. ; ] (2014) Artenvielfalt und Zusammensetzung der Fischpopulation im Walensee. Schlussbericht., 31 S. Vonlanthen,P. ; Périat,G. ; [in Zusammenarbeit mit:; Seehausen,O. ; Dönz,C. ; Rieder,J.:Brodersen,J. ; Degiorgi,F. ; Guillard,J. ; Colon,M. ; ] (2013) Artenvielfalt und Zusammensetzung der Fischpopulation im Brienzersee. Schlussbericht., 44 S.